On April 15, 2013, shortly after 9 pm, Swan River RCMP were called and advised that about 20 minutes prior, a male had approached several students (early teens in age) and exposed himself while on the École Swan River playground. Immediate police patrols were made. The suspect was gone. 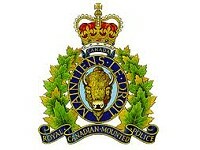 The individual is described as a male, early 20′s, tall wearing a red jacket. At present, efforts to identify and locate the individual continues. Anyone with any information on this matter is asked to contact the Swan River RCMP at (204) 734-3454.